Under the pressure of secularization and the influence of consumerism, the Catholic Church today cannot assume that the faith will be automatically transmitted to the next generation. The process of secularization is further advanced in parts of Europe than in the US, and it is in Europe that Catholic educators are coming up with the most creative responses to this challenge. “Second Spring Catechesis”, partly inspired by the groundbreaking work of Sofia Cavalletti and her Catechesis of the Good Shepherd, is an application of the fundamental principle of the new evangelization: the intimate association of truth and goodness with beauty. This implies a vital role not only for intelligence and will, but for imagination in religious formation. The Vatican has called for an “evangelization through beauty”, since this— especially the beauty of holiness in the lives of the saints—is the main way in which modern people can still relate to the Christian tradition and begin to grasp its meaning for them. The first challenge was getting children to relate to the central act of worship, the Mass. 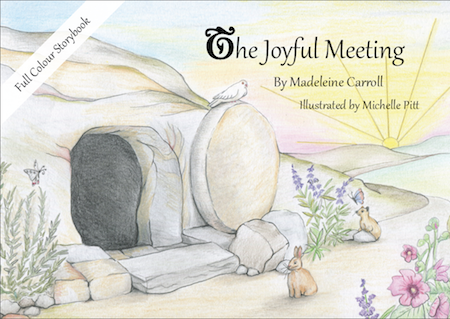 There are numerous resources for first communion preparation, but there is still a pressing need for something which unpacks the symbolic and supernatural meaning of the Mass itself in a form that is visually accessible to younger children. 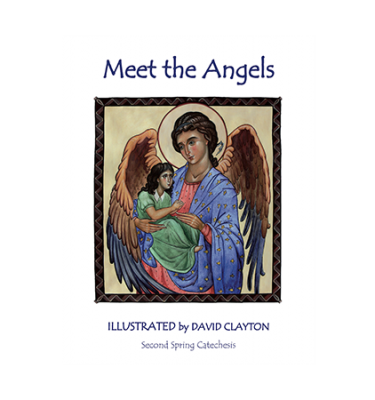 This perceived need has led to the creation of an illustrated guide to the Mass for children aged roughly 4 to 8, which also acts as an abbreviated Missal. The problem with catechising in the modern world is that you are competing for children’s attention with a host of visual stimuli that surround them. Television and film, as well as fantasy literature, feed and form the youthful imagination. As we monitored the response to our book on the Mass, we began to realise that personal involvement in the type of imagery we are presenting has a powerful subliminal value, on two counts. First there is the obvious benefit of internalising symbolic and historical meaning at an early age, so that for instance, you can “imagine” the creed as you say it. But the nature of the art used, the style of the drawing, also has a value in itself. Reverence, contemplation, all these things can be fostered through an artistic style, as they have been for centuries in the great art of the Christian world. Second Spring Catechesis looks simple, since it takes the form of a series of colouring books, not normally regarded as artistically significant. But it involves taking the child, and the child’s sensibility and culture, much more seriously than most other forms of catechesis have done. This seems to be part of the reason for its effectiveness: it opens windows in the child’s imagination through which the vision of the faith can be transmitted. It prepares the ground and plants the seeds for a later, more intellectual appreciation of the faith in the child’s mind. The challenging activity of colouring in delicate pictures serves to engage the child in a more personal way with the symbolism and beauty of the images. 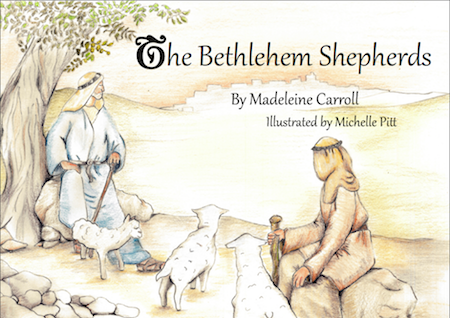 The images themselves subliminally suggest levels of meaning, and connections between Bible and Liturgy, in a way that nourishes the child’s sense of mystery and of the sacred—essential for the healthy development of the life of faith and prayer through the difficult years of adolescence that lie ahead. 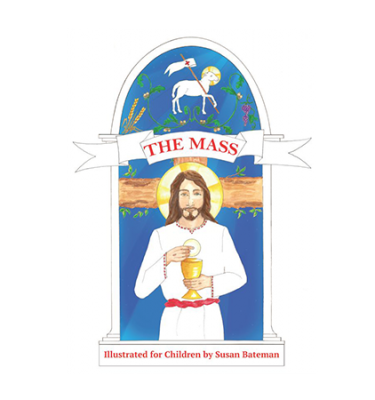 "[The Mass Illustrated is] a wonderful book to teach children about the Mass." "How do you teach young children to know and love their faith?... [These books] combine clear, straightforward explanations and line drawings on every page to be coloured in. These are pictures that are closely linked to the narrative. Thus memory, art work, the imagination, and visual aids come together as tools for learning…. In this endeavour ‘small is beautiful’; it is also imaginative, artistic—and designed to help children gradually learn to feel at home in the world of the supernatural." "The books are of a high standard & I will recommend them whenever I can."